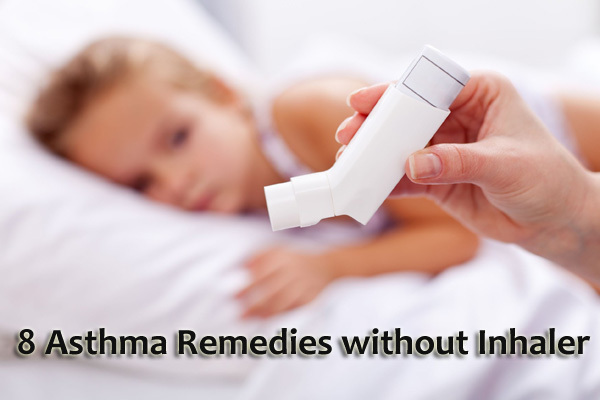 If you are suffering from Asthma attack, you will prefer Asthma Inhalers or medications to get instant relief. Although these medications can help control symptoms in the case of an emergency attack, sometimes they can make asthma symptoms and allergies even worse long term. 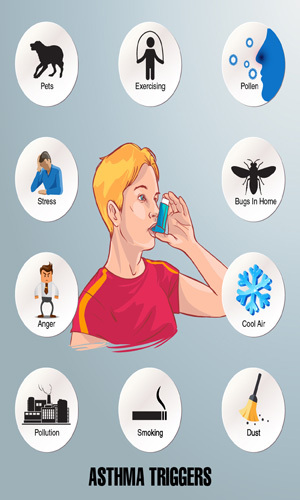 So, try these Home Remedies for Asthma which works effectively. What is Asthma ? Asthma is a condition characterized by difficulty breathing and narrowing of the airways leading to the lungs. Asthma is classified into two types namely allergic and non-allergic asthma. Allergic asthma occurs in the people who are allergic to dust mites, pollen, etc. Nonallergic asthma is where triggers such as cold weather, strong perfumes, etc., will irritate the lungs. Asthma attacks occur when there is a difficulty in the flow of air in the lungs. The people who are affected with asthma are increasing yearly, and sadly, there is no cure. 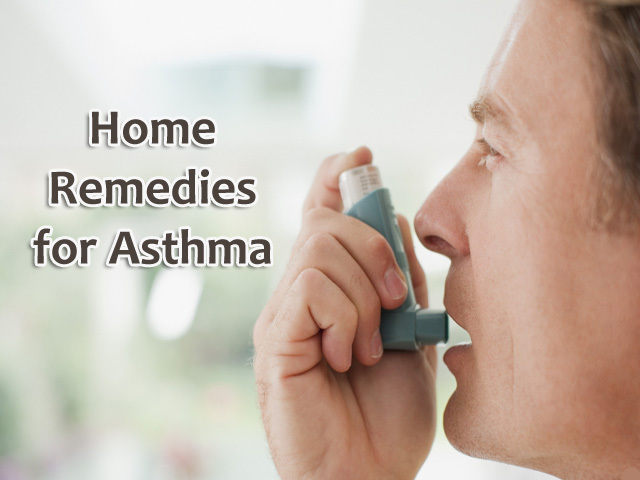 However, there is a chance of reducing and controlling it with these Asthma Home Remedies. Apart from these natural remedies, you should also maintain a healthy lifestyle and a proper diet. Since millions of people are suffering from asthma, bronchial asthma, and bronchitis, using Asthma Natural treatments may have the capability to reduce such attacks. It also reduces the symptoms like wheezing, coughing, sneezing and breathlessness. Thankfully, there are some natural and herbal remedies for asthma that work extremely well at home. 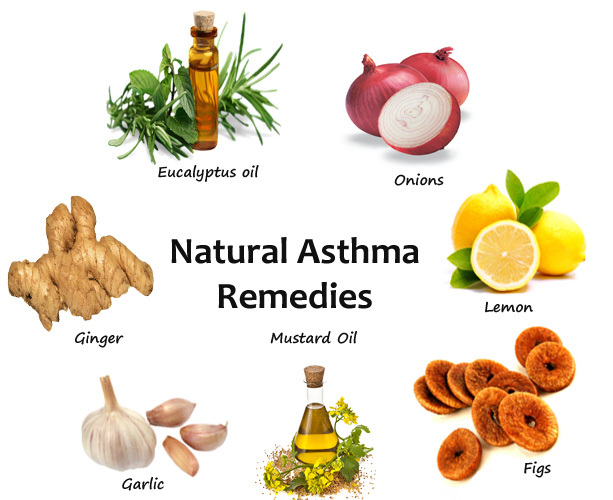 So, the following are the best home remedies for asthma that can help treat this often inhibiting condition. Do follow these remedies and reduce your Asthma symptoms. Ginger is one among the best Home Remedies for Asthma. Because it is a popular natural treatment for various diseases including asthma. Ginger has components such as gingerols, shogaols, and zingerones which act as anti-inflammatory and analgesic properties that are similar to Non-steroidal Anti-inflammatory drugs. It also inhibits the airway contraction and normalizes airways to enable proper breathing. Simply eat raw ginger mixed with salt. Not only this method, but you can also treat asthma with Ginger in many ways. Extract juice from fresh ginger. Take equal quantities of pomegranate juice, honey, and Ginger juice. Mix them well and consume one tablespoon of this mixture two or three times a day. Alternatively, take one tablespoon of ginger juice and mix it with a tbsp of honey and two tbsp of dried fenugreek seeds. Soak it overnight and consume it every morning to detoxify your lungs. Cut one inch of ginger root into small pieces. Now add it to a pot of boiling water. Let it steep for five minutes and then allow it to cool down. Finally, consume this drink daily. Otherwise, you can mix 1 teaspoon of ground ginger in one and a half cups of water and drink one tablespoon of this mixture during bedtime. Pure eucalyptus oil is an effective treatment for asthma symptoms because of its decongestant properties. Research indicates that it consists of a chemical called eucalyptol which can help break up mucus. Just put a few drops of eucalyptus oil on a paper towel and keep it by your head when sleeping so that you breathe in the aroma. You can also put two to three drops of eucalyptus oil in a pot of boiling water and breathe in the steam. Try to take deep breaths for faster results. Massaging with the mustard oil during an asthma attack helps you in clearing the respiratory passages and restores normal breathing. First of all, heat the mustard oil with a small amount of camphor. When it is warm, transfer the oil into a bowl and gently massage your upper back and chest areas for about 5 to 7 minutes. Repeat this process several times a day until your symptoms disappear. Garlic is a natural ingredient that helps in clearing lung congestion efficiently and thereby providing you with quick relief from asthma symptoms. Garlic is the best Home remedy for Asthma cough. First of all, add two to three cloves of garlic in a bowl of water. Boil it and let it steep for about 5 minutes. Now, strain the mixture and allow it to cool to room temperature. Finally, drink this water or garlic tea every day to see a reduction in asthma symptoms. Otherwise, add 10 to 15 garlic cloves in half a cup of milk. Boil it for a few minutes and drink it once every day to get relief from asthma symptoms. Onions have rich sulfur contents that help in reducing the lung inflammation. These are an abundant source of anti-inflammatory properties and are very useful in clearing the air passages for the people who have asthma. Eat three or four pieces of raw onions to clear your blocked airways and to breathe easily. Otherwise, try mixing onions in your regular vegetable salad to get instant relief from blocked lungs. So, to get relief from Asthma, you should consume more and more of onions, be it in raw form in a salad or cooked vegetables. Figs are also one among the effective home remedies for Asthma. Because it helps in reducing breathing difficulties and promotes your respiratory health. It also works efficiently in draining out phlegm. Wash three to four dried figs in water and soak them in a cup of water overnight. 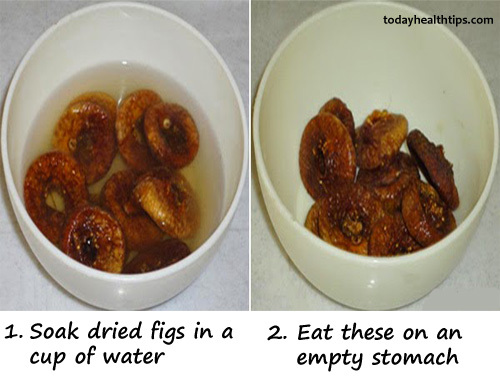 Eat these soaked figs on an empty stomach in the morning and also drink this fig water. Hence, the nutrients present in the figs will enter your bloodstream and offer you quick relief from asthma. People with asthma often have low levels of vitamin C. Lemons are rich in this vitamins and antioxidants that can help reduce asthma symptoms. Hence these are the best Home Remedies for Wheezing. Squeeze the juice of half a lemon in a glass of water and add sugar according to your taste. Drink this regularly to reduce severe asthma attacks. You can also try some other fruits like Oranges, blueberries, papayas, and strawberries instead of lemons. One cannot prevent Asthma but can take some steps to control the disease and prevent its symptoms. Besides following the Home remedies for Asthma, follow the tips given below to reduce the severity and frequency of asthma attacks. Identify and avoid the Asthma triggers. Include Green leafy vegetables, citrus fruits, foods rich in vitamin A in your diet. Avoid foods such as sugar, pickles, rice, ice cream, cold drinks, curd, etc. as they help in forming the phlegm. Eat slowly and chew your food properly. Also, remember you should always eat less than your capacity. Limit consuming Tea, coffee, alcohol, etc. and quit smoking. Exercise regularly for at least 20 – 30 minutes or prefer a brisk walk in the morning. Practice Yoga asanas such as Sirsasana, Utthanasana, Dhanurasana, etc. to reduce the symptoms. Use allergy-proof covers on pillows and mattresses. Also, wash your beddings weekly. Try these home remedies for acute and severe asthma. If your symptoms ever start recurring multiple times per day, make sure to see your doctor.